(Above) The Meagaidh range in the distance – bright and crisp this morning, as I headed to its Western edge and Beinn a Chaorainn. 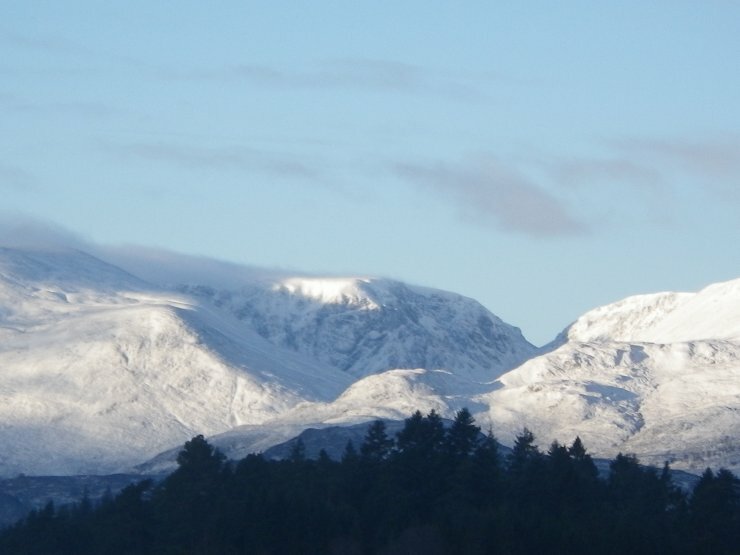 (Above) The East facing bowls of Beinn a Chaorainn. 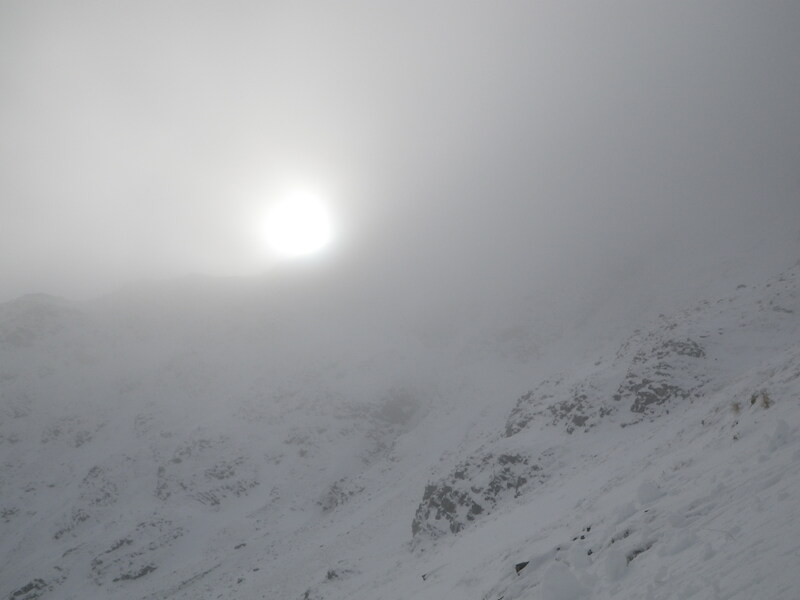 My destination for the day – the central gully, at around cloud level! 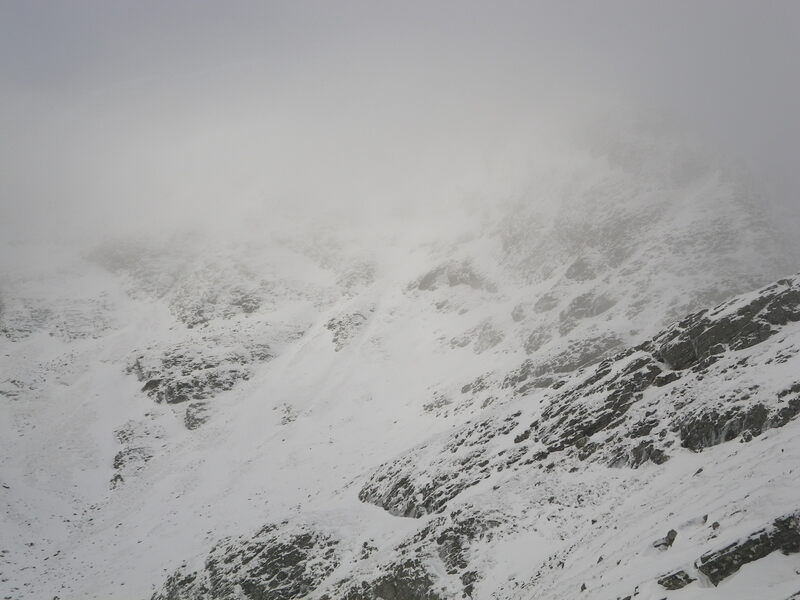 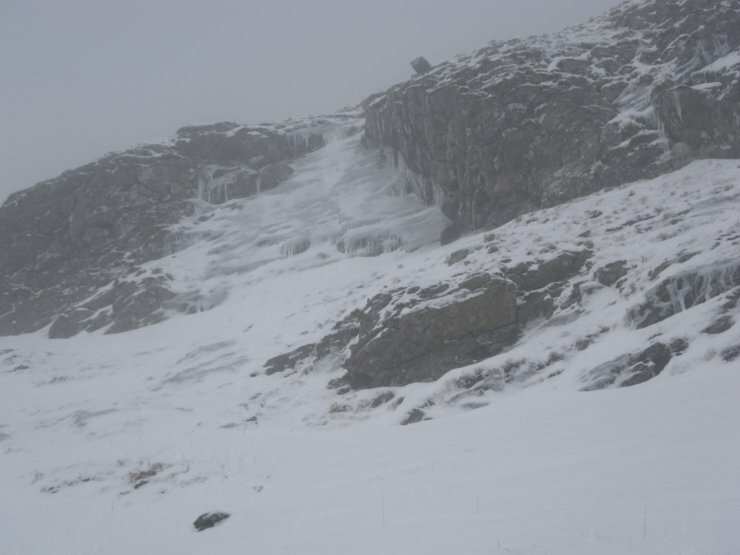 Yesterday’s venture to the Eastern end of the Meagaidh range had not found any significant accumulations – my thoughts were this collecting bowl on Beinn a Chaorainn would perhaps be more fruitful………..
(Above) Found some ice in the bowl’s upper reaches – any snow however was lying mostly just on bare ground at 850m. 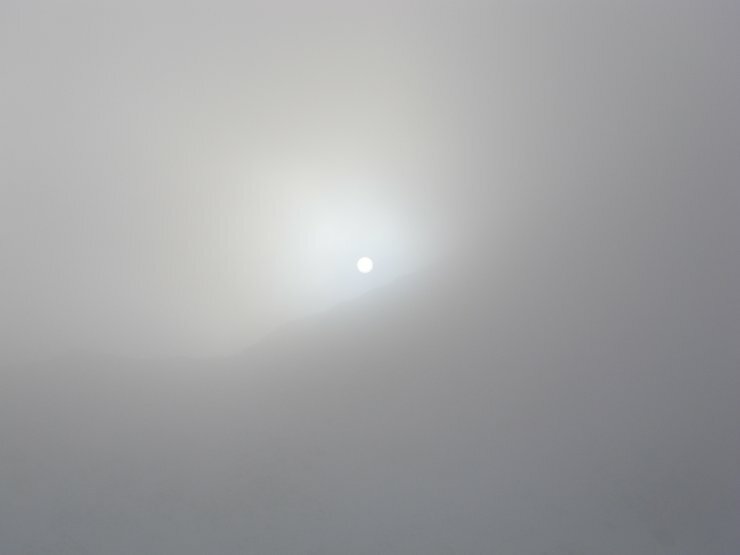 (Above) The enjoyment of the ‘bright and crisp’ required breaking thru a cloud inversion. 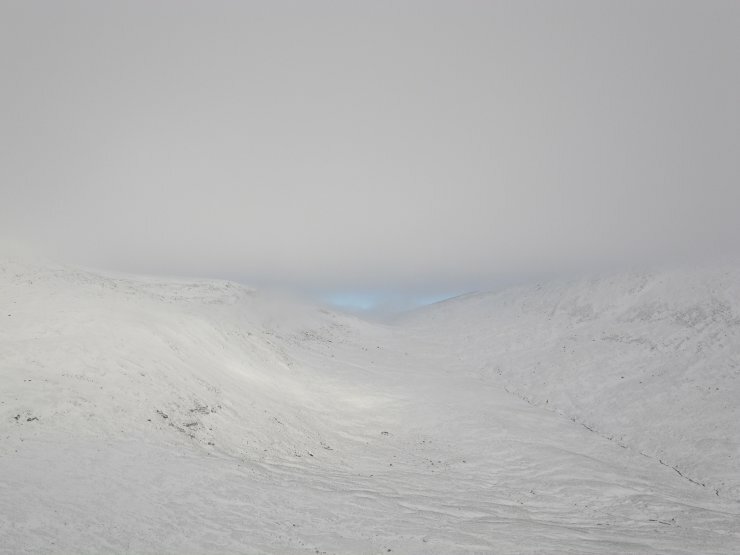 (Above) Creag Meagaidh’s broad Western col of Bealach a Bharnish sitting at about 800m – showing the blue clear skies above & beyond. (Above) ….until that is on the way home (of course!) 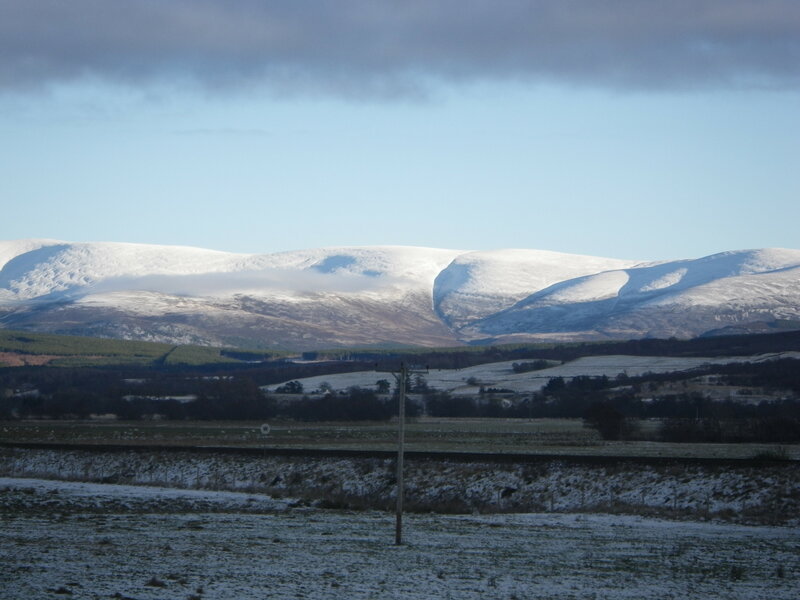 The Glenfeshie hills looked to have been out of any cloud and clear for the day -typical! East was best….